The idea of boosting your immunity is enticing, but the ability to do so has proved elusive for several reasons. The immune system is precisely that — a system, not a single entity. Researchers are exploring the effects of diet, exercise, age, psychological stress, and other factors on the immune response, both in animals and in humans. In the meantime, general healthy-living strategies are a good way to start giving your immune system the upper hand. Many products on store shelves claim to boost or support immunity. Attempting to boost the cells of the immune system is especially complicated because there are so many different kinds of cells in the immune system that respond to so many different microbes in so many ways. Which cells should you boost, and to what number? What is known is that the body is continually generating immune cells. What can improve your mood, boost your ability to fend off infection, and lower your risk for heart disease, diabetes, high blood pressure, and colon cancer? The answer is regular exercise. It may seem too good to be true, but it’s not. Hundreds of studies demonstrate that exercise helps you feel better and live longer. This report answers many important questions about physical activity. It will also help guide you through starting and maintaining an exercise program that suits your abilities and lifestyle. The aging process somehow leads to a reduction of immune response capability, which in turn contributes to more infections, more inflammatory diseases, and more cancer. As life expectancy in developed countries has increased, so too has the incidence of age-related conditions. Happily, investigation into the aging process can benefit us all — no matter what our age. While some people age healthily, the conclusion of many studies is that, compared with younger people, the elderly are more likely to contract infectious diseases and, even more importantly, more likely to die from them. Respiratory infections, influenza, and particularly pneumonia are a leading cause of death in people over 65 worldwide. No one knows for sure why this happens, but some scientists observe that this increased risk correlates with a decrease in T cells, possibly from the thymus atrophying with age and producing fewer T cells to fight off infection. A form of malnutrition that is surprisingly common even in affluent countries is known as “micronutrient malnutrition.” Micronutrient malnutrition, in which a person is deficient in some essential vitamins and trace minerals that are obtained from or supplemented by diet, can be common in the elderly. Older people tend to eat less and often have less variety in their diets. Like any fighting force, the immune system army marches on its stomach. Healthy immune system warriors need good, regular nourishment. Walk into a store, and you will find bottles of pills and herbal preparations that claim to “support immunity” or otherwise boost the health of your immune system. 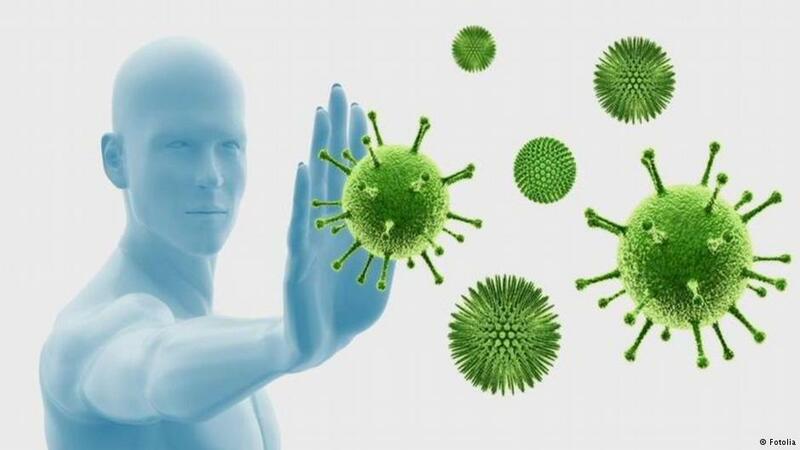 Although some preparations have been found to alter some components of immune function, thus far there is no evidence that they actually bolster immunity to the point where you are better protected against infection and disease. A wide variety of maladies, including stomach upset, hives, and even heart disease, are linked to the effects of emotional stress. But although the relationship between stress and immune function is being studied by a number of different types of scientists, so far it is not a major area of research for immunologists. What may appear to be a stressful situation for one person is not for another. When people are exposed to situations they regard as stressful, it is difficult for them to measure how much stress they feel, and difficult for the scientist to know if a person’s subjective impression of the amount of stress is accurate. take dietary supplements. The most common ones are multivitamin and multimineral supplements. This report explains the evidence behind the benefits and safety profiles of various vitamins and minerals. It also includes the recommended minimum and maximum amounts you should consume, as well as good food sources of each. Exercise is Good for immunity. Regular exercise is one of the pillars of healthy living. It improves cardiovascular health, lowers blood pressure, helps control body weight, and protects against a variety of diseases. But does it help maintain a healthy immune system? Just like a healthy diet, exercise can contribute to general good health and therefore to a healthy immune system. It may contribute even more directly by promoting good circulation, which allows the cells and substances of the immune system to move through the body freely and do their job efficiently.